After successfully playing smart TV catchup with some of its more innovative rivals and increasing its television sales by over 30 per cent last year, Toshiba is now aiming to consolidate its position as a dominant force at the value end of the TV market. The Toshiba 40RL953 is a no-nonsense 40-inch screen that eschews the distraction of 3D and some of the premium features of Toshiba's higher spec TVs, including its CEVO picture processor. Not that this is a basic model, with plenty of picture processing tweaks, a contemporary-looking operating system and the latest incarnation of the Toshiba Places online portal among the Toshiba 40RL953's main attractions. Having turned its back on the 37-inch screen for the RL953 series, Toshiba's only alternative to the 40RL953 in terms of screen size is the 32-inch Toshiba 32RL953. If you've got your heart set on a 40-inch screen then there are three other Toshiba TVs to tempt you, all priced fairly closely together and with subtle spec differences. 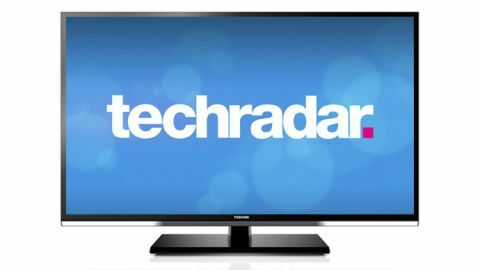 The step-up £549 Toshiba 40TL868B adds active 3D playback, and is also available in 46-inch size. Then there is the basic Toshiba 40BL702B, which sells for £429 and lacks a Freeview HD tuner and Blu-ray 24p playback mode. The most similar Toshiba 40-inch model to the 40RL953 is the £500 Toshiba 40RL858B, which has a silver grey frame, higher brightness and contrast, a 100Hz panel and a less contemporary-looking operating system. If you want the delights of local LED dimming and more sophisticated CEVO engine processing you need to set your sights on bigger screens (all with 3D) such as the 42-inch Toshiba 42WL863B, 46-inch Toshiba 46WL863B and 42-inch Toshiba 42YL863B.